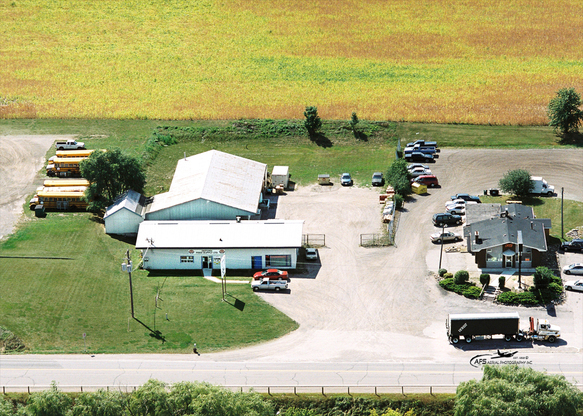 About Us - Oxford Feed Supply Ltd.
Oxford Feed Supply Ltd. is a family owned business established by Alec and Elaine Saarloos in April of 1998, located in Ingersoll ON. We have worked persistently for 15 years broadening our business and bettering our specialty products. We enjoy what we do and look forward to serving our customer’s needs. Before Oxford Feed Supply Ltd. began it was an existing business called “Rocks Mills” which also sold Shur-Gain feed. 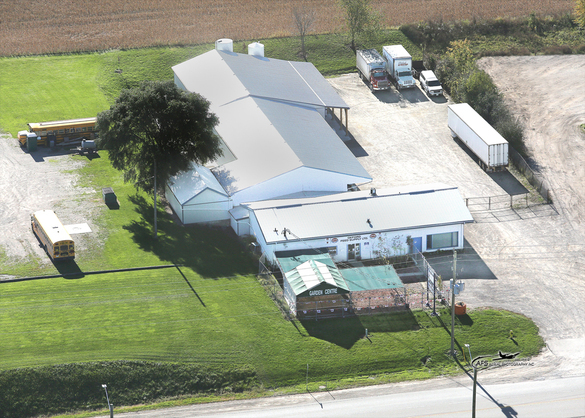 Since its inception, Oxford Feed Supply Ltd. continued that feed business and over the years, significantly increased our business in size and area. In the past 15 years our total yearly sales have quadrupled! Our store has successfully grown and continues to do so after numerous advancements. We have doubled the size of the store; built an addition onto our warehouse, and established a beautiful garden center. Oxford Feed Supply Ltd. is constantly trying new products and we continually grow to cater to the urban dweller’s needs in addition to fulfilling the needs of our farmers. Oxford Feed Supply Ltd. even carries a variety of pool and spa chemicals also offering free water testing. We carry a vast array of products as well; to name a few: pet food and accessories, hardware and automotive supplies, lawn and garden products, pest control, fencing, farm fresh eggs, local cheese and honey, birdseed and feeders. Here at Oxford Feed Supply Ltd.we mix our own birdseed and we have just incorporated our very own feed bagging system. This system not only accurately weighs and bags feed, but we are set up for totes as well. To serve our customers further, we posses bulk and feed bag trucks for all delivery purposes. 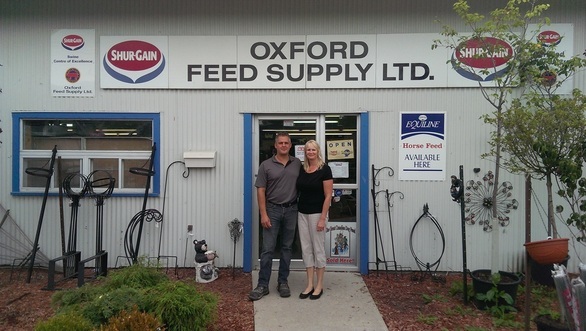 Shur-Gain recognizes Oxford Feed Supply Ltd. as a Certified Dairy & Swine center due to Quality Service and increasing sales to their customers. Our goal is to keep our customers happy and their animals healthy and performing well. We are here to serve our customers. That’s what we’re good at! Our company is based on principles of honesty and hard work, treating others how we ourselves would like to be treated and making our customers the top priority. We have been blessed as a family and as a business. We are thankful for the business we have received from all of our customers and we give thanks to God for them.